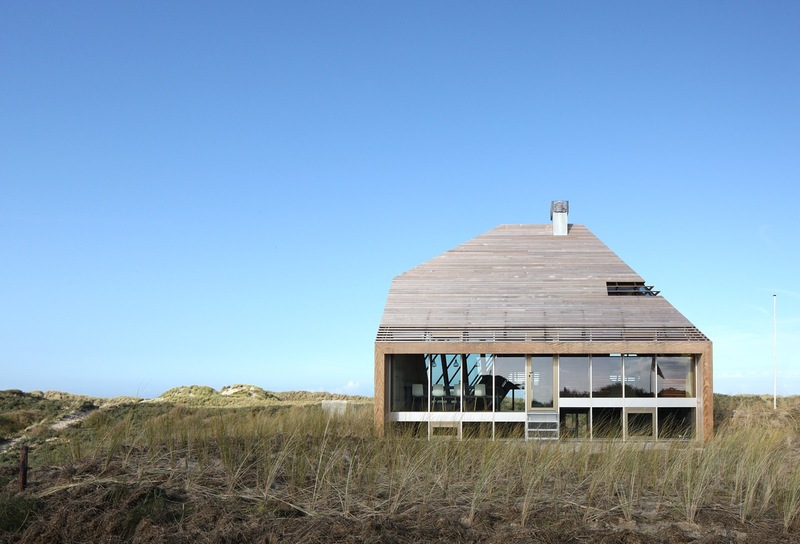 The Dune House, half-sunk into the dunes on the northern coast of the island of Terschelling, rises over the landscape and looks over the dunes providing a breath-taking view of the North Sea. 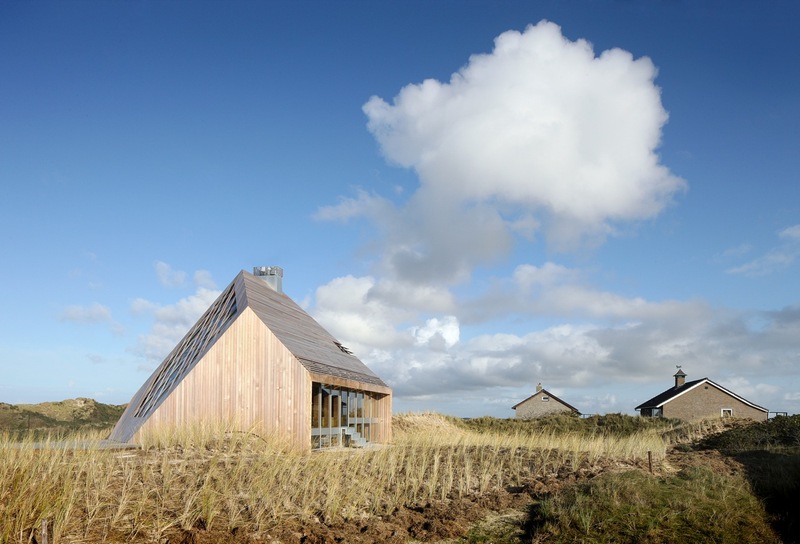 The forces of nature prevalent in the environment – the sea, the sunlight and the local wind patterns – determine the design in such a way as if they themselves had sculpted the house. It is above all a very contextual design and for this reason every material was chosen after close examination of the colors and textures found in the environment. 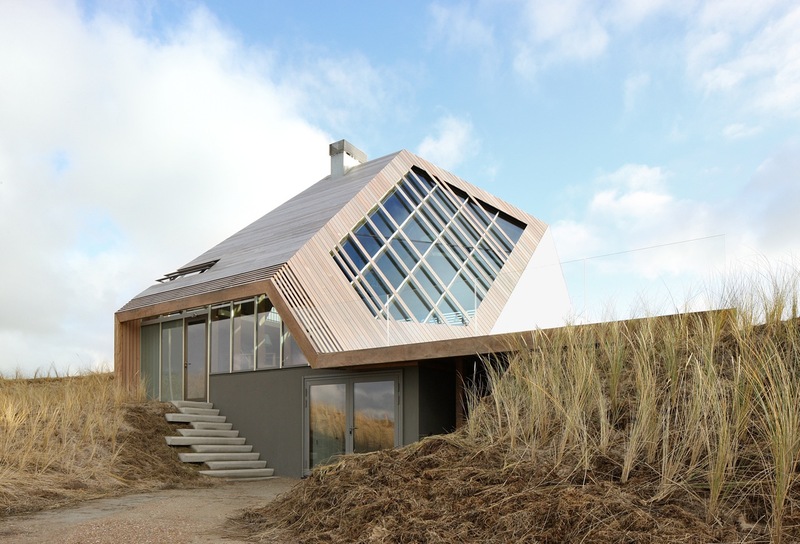 This results in a peculiar architectonic object, a wooden diamond that is experienced very differently from each of its sides, is fully integrated in the landscape and yet also makes a strong but subtle connection between its interior and its immediate surroundings. 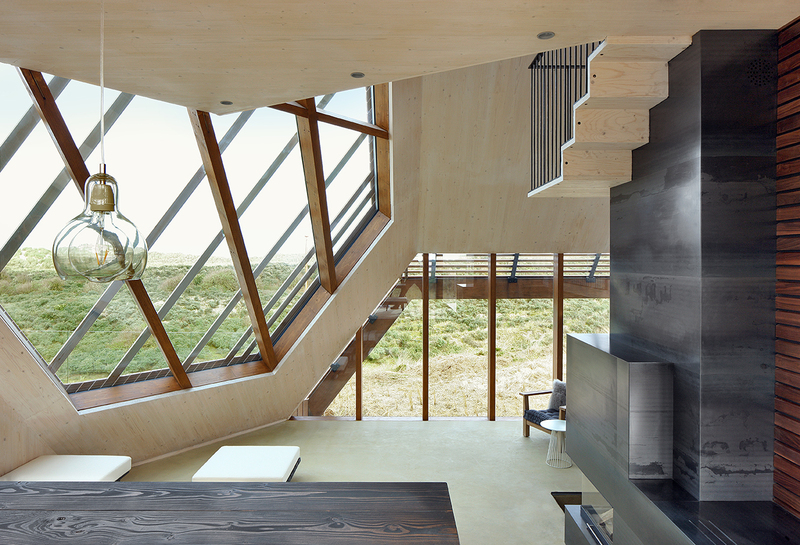 The loft-like house recreates the experience of having a walk on the dunes in its interior as a spiraling “promenade architecturale” around its core as one continuous path from platform to platform, each just a few steps higher than the next, that generates very interesting spatial and visual relations in between each of the rooms but also towards the landscape, as each opening in the house has been shaped, sized and positioned in a specific way, always related to the functions associated to each space. Through intensive dialogue between the architect and the clients, a tailor-made design of the house that would fulfill all their wishes was made possible. A holistic approach to design in which every detail was meticulously thought through without ever losing sight of the main ideas behind the project, a design that integrates landscape, architecture and interior design into one. 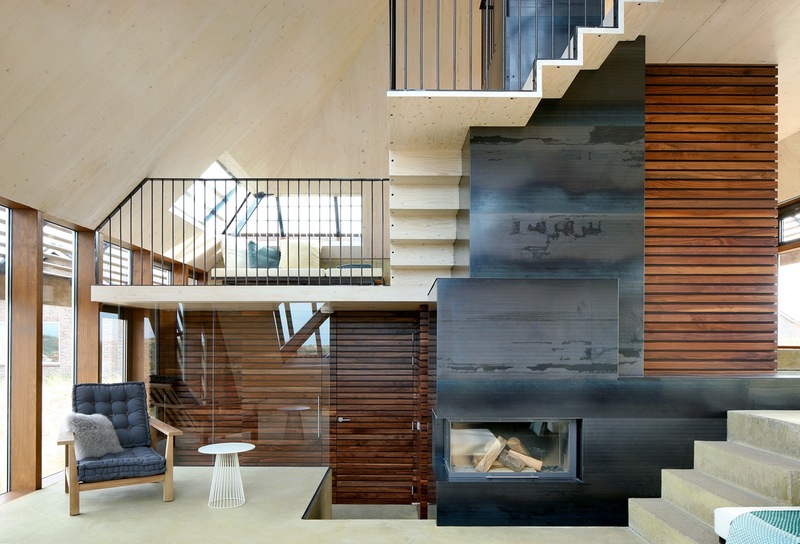 This respect towards the environment also translated in the choice for a construction method with the use of modular prefabricated wooden panels, previously designed using BIM software, that allowed to drastically reduce the building time. 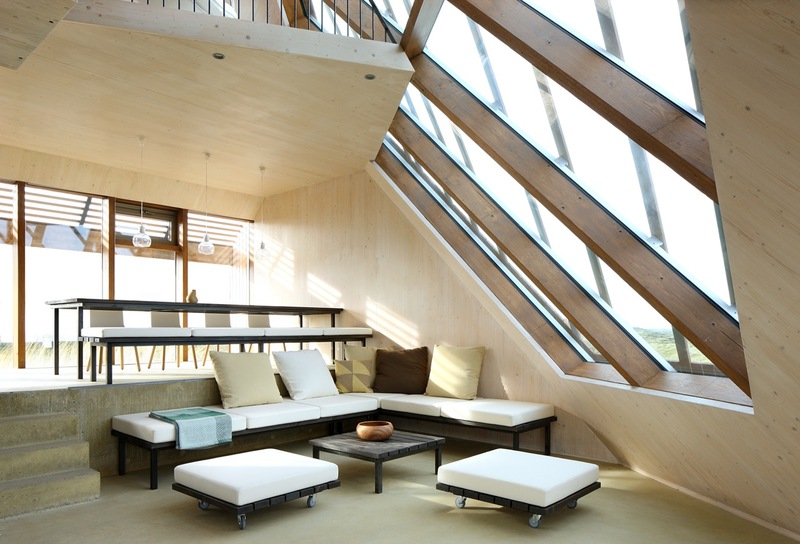 The intensive use of wood, the implementation of passive methods to avoid unwanted heat gains and losses combined with the self-generation of energy through solar panels and a biomass run fireplace, make this a very environmentally friendly design with a minimal ecological footprint.